All guests dressed up in their best suit and tie or dress to attend the Chamber of Commerce’s 79th Annual Dinner Dance and Silent and Live Auctions. 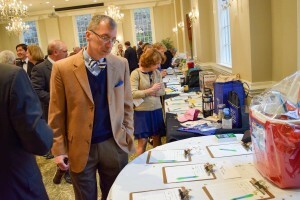 It was held on March 19, 2016, at The Natural Bridge Historic Hotel. The Natural Bridge Park and Historical Hotel serves as a key promoter and preserver of the Natural Bridge area and its natural history. 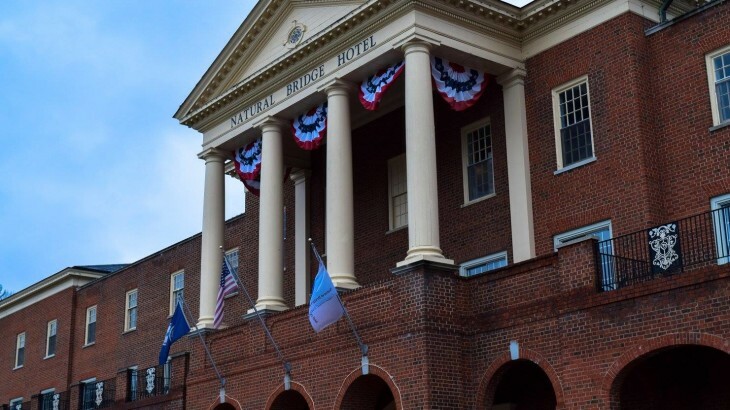 As written on their website, “The Natural Bridge Park Historic Hotel is an iconic centerpiece in Americana…Come enjoy a balcony view of the gorgeous Blue Ridge Mountains, sip wine on the veranda, enjoy a cool morning hike, take in the spectacle of our 500 million year old natural bridge, and step back in time and experience a truly one of a kind experience that is found nowhere else on this earth…The hotel paired with it’s endless amount of activities onsite at Natural Bridge Park is the perfect place for family vacations, reunions, business meetings, special events, and weddings.” To learn more visit their website. 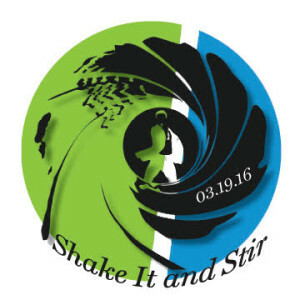 Everyone gave their best James Bond impressions as this year’s theme was “Shake It and Stir.” The evening began at 5:30pm with a cocktail reception and silent auction in Historic Washington Hall. Afterwards, everyone gathered in the Jefferson Ballroom for dinner and for the presentation of the 2016 Business Individual of the Year Award. The award recognizes an individual in the community who best exemplifies strong leadership and dedication to the business and welfare of his or her community. This year’s recipient was Jay Melvin of University Cleaners. Further information about Melvin can be found here. The night continued on with a Live Auction. Auction prizes included a rafting trip for 4 on the Maury led by Rockbridge River Tours provided by Garrett Landscapes, a private cooking class for 8 led by Chef John Stallard of C.H.E.F.S., a paint party for 16 led by Artist Leigh Ann McCoy of Sunny Knoll Studios, a $1000 College Scholarship from DuPont Community Credit Union, and many other donations and gifts offered by local businesses. 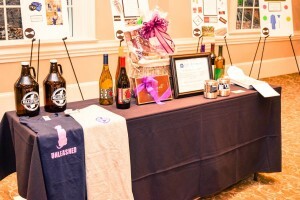 The live and silent auctions raised…Everyone then made their way to the dance floor to “shake it” for the musical entertainment provided by Class Act Band. 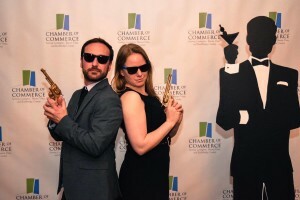 Those in attendance also enjoyed posing with props and figure cutouts in front of the Chamber of Commerce backdrop. More pictures can be found on our Facebook page. A huge thank you to all our sponsors and donors who contributed toward the silent and live auctions. Thank you also to everyone who attended the Dinner Dance this year. We look forward to doing it all over again next year! Cash Mob Books & Co.